Atlantis Rail Systems sells our products through the Lumber and Hardware Store channel. The best way to insure you are getting authentic Atlantis Rail Systems product and expert advice is to purchase through Atlantis Rail Authorized dealers listed in our dealer locator. Many dealers not listed in the dealer locator sell our products and are reputable sources and we will be happy to verify unlisted sources for you, feel free to contact us in that regard. 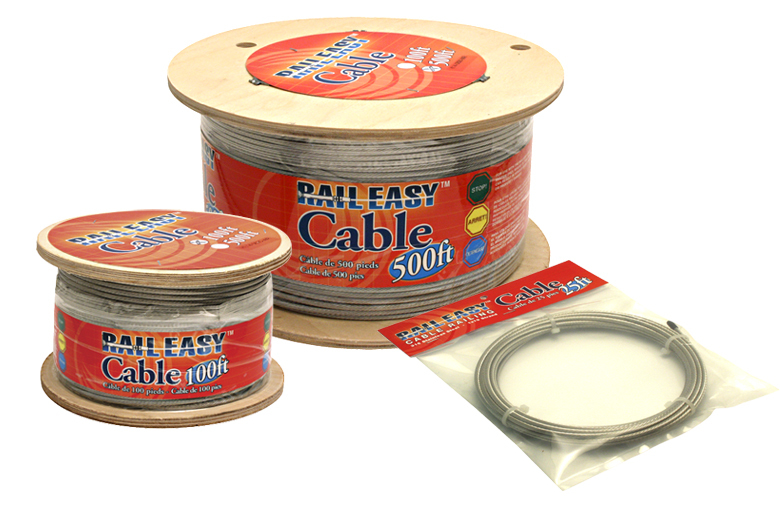 You should also make sure every product purchased, including cable, carries an authentic Orange and Blue trademarked RailEasy™ label. Our flagship RailEasy™ products carry a bright orange and blue label with trademark. Our cable spools have a round orange and blue label with a serial number and an orange and blue band around the cable. If it does not have this labeling, it is likely not an Atlantis Rail product. Our cable is specifically made for Atlantis Rail with a proprietary cleaning method and using any other cable will nullify your warranty. To insure you are getting full value and full warranty you should make sure all goods are properly labeled. If you receive goods from any source that does not seem to be properly labeled please contact us immediately and we will assist in confirming the authenticity of supply. On line venues are safe to purchase from but in many cases we are not selling directly to the source and cannot regulate them. Recently we have encountered counterfeit goods and this is particularly true of cable being sold in online venues such as Amazon and eBay. If you see goods advertised without the RailEasy™ Label you should exercise caution and question the vendor.